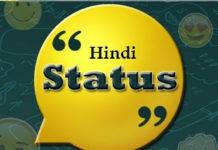 This is second page of Hindi Status for Facebook and Whatsapp.These Hindi Whatsapp Status are written in both Hindi and English Languages.You can checkout Hindi Status for Whatsapp, Facebook and other social networking sites below.
? मैने तो ? लड़की को बस ? 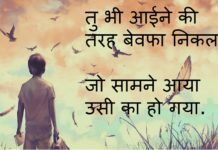 stop pe सिर्फ ⌚ time पुछा था की कितने बजे…? इतने बुरे ना थे जो ठुकरा दिया तुमने हमेँ. 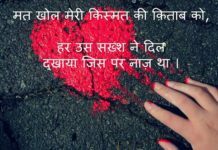 तेरे अपने फैसले पर एक दिन तुझे भी अफसोस होगा!!! 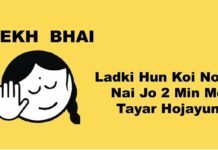 हम वो वक़्त भी किसीकी यादों में बिता देते है ! !